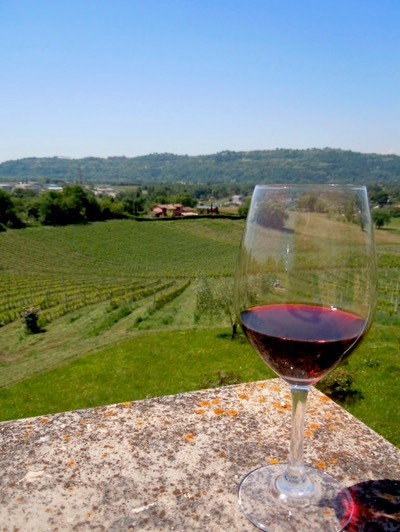 Wine Tours Rome: an authentic wine tour experience and a perfect Rome day trip. 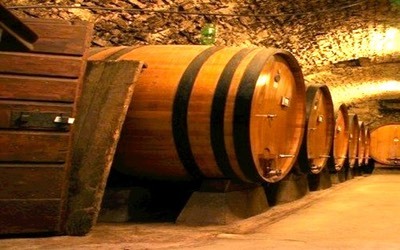 Wine Tours Rome reveals Rome’s best kept wine secret. 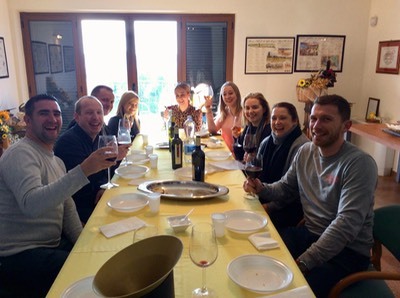 We have designed our Rome Wine Tours so you can you can relax, have a day out in the beautiful Rome wine countryside, sampling local wines and delicacies, having fun visiting people who are passionate about the wine they produce. 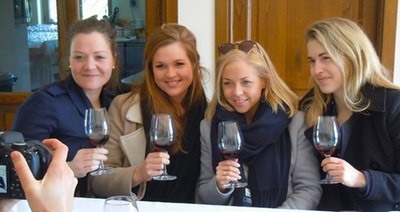 Wine Tours Rome is for those looking for a perfect Rome day trip as one of the great things to do, while staying in Rome. We would like to share our love for Italian wines that are produced in the Rome wine country just north of Rome. 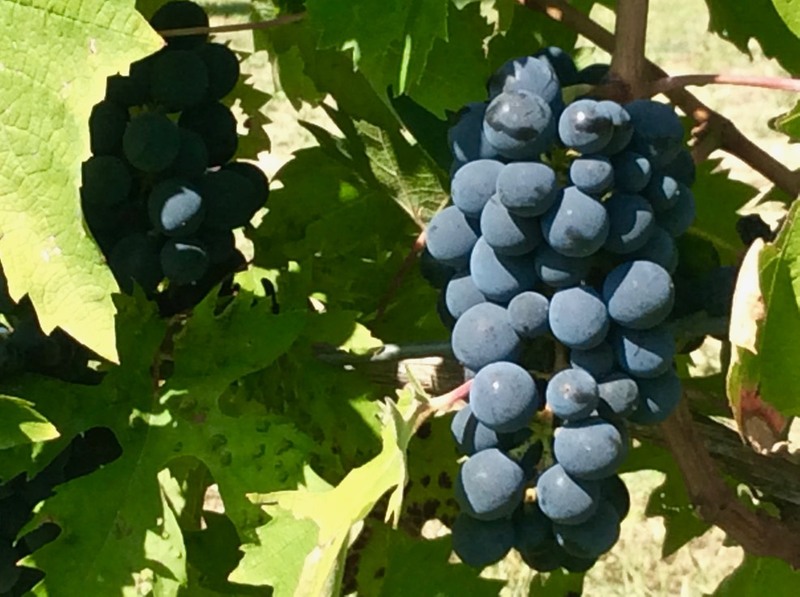 Wine Tours Rome takes you off the beaten track to visit an award winning vineyard situated in the rolling hills of the Rome wine countryside, an unspoilt and fertile land just north of Rome. Here, you will discover wines that are based on ancient Italian native grapes. The local winemakers give great importance to the history of wine, as well as the ‘terroir’ and the composition of the soil. 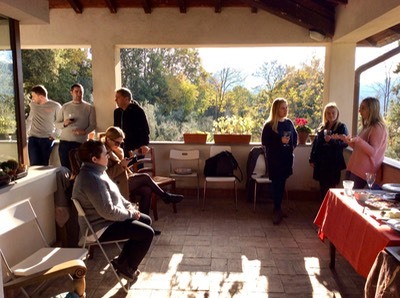 By taking one of our wine tours near Rome you will have a fun, relaxing day out in the countryside, meeting wine makers, sampling the local wines, tasting local cheese and salami, and discovering the local olive oil served on fresh bread. It’s more than just a wine tour. Wine Tours Rome takes you to the true heart of Italy and includes a visit to the an award winning vineyard, where all aspects of wines produced here are explained and several different wines are sampled with locally produced olive oil on bruschetta. 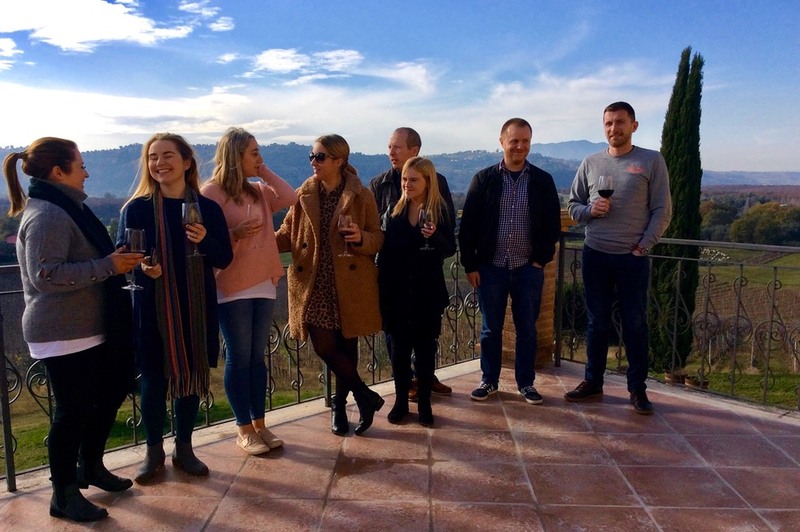 By joining one of our Rome wine tours you also have the opportunity to discover the Rome wine country, a stunning region made of rolling hills, medieval hilltop villages and castles, just on Rome’s doorstep. 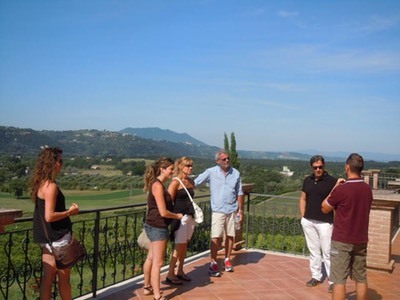 The second stop is a great chance to learn more about Italian wines and authentic Italy, in an Italian family setting. Our family home is set in the spectacular countryside surrounding Castelnuovo, an ancient medieval village surrounded by vineyards and olive groves. It is said that close to here is one of the oldest vineyards in Italy. From our home terrace you will be overlooking miles and miles of ‘picture postcard' Italian scenery. Here, you'll enjoy another wine tasting session, sampling more locally produced wines from the region, served with delicious bites of local cheeses, salami, focaccia and olive oil. You will also learn about the history of this region and why wine making has been so important to this community since medieval times. Affordable wine tours near Rome, small groups. Our relaxing Rome wine tours are competitively priced and include a tour to a wonderful and unspoilt wine region that you would rarely have the opportunity to visit otherwise. Rome Wine Tours is an affordable and exciting way to experience the culture, food, wine and convivial company of authentic Italy. 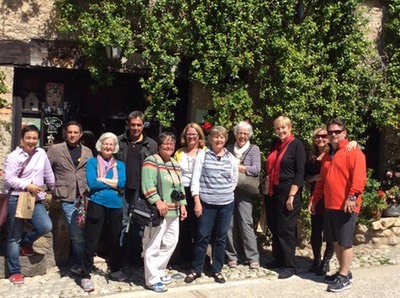 The maximum group size of our Rome Wine tour is 12, therefore each participant enjoys personalised attention and gets the most out of every wine tasting session and excursion. All our Rome wine tours and wine tasting sessions are in English. 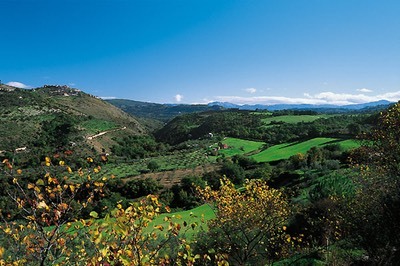 Stunning Countryside, authentic Italy next to Rome. 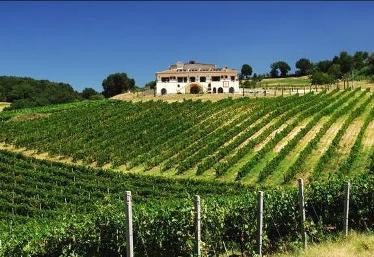 Let us share with you the magic of Italy and this beautiful wine region. Our Rome wine tours, vineyard visit and wine tasting sessions are set in hills of Rome, dotted with medieval hilltop villages surrounded by rolling hills, olive groves, vineyards and fruit orchards. The only traffic jams here are caused during vintage, when slow little three-wheel trucks carry their grapes to the family wine cellar. We are only 30 miles (48 kms) from Rome. Although the Rome wine countryside has a similar landscape to Umbria and Tuscany, it has none of the commercialism that you’ll find in other Italian regions.